Watch the 2-minute video above to see how you can import data from data.world, and create a rich dashboard with Keshif, in real-time! You will discover the oldest gold medal winner in women's, and see average age per different sports and genders. Pasting a data.world link directly into the import window. Once you choose a dataset or project, you can choose the specific table you'd like to import to Keshif, or use the SQL import option to create a customized import query. The preview window will give you a quick sense of the data you'll be importing. Then, just click "Explore" to jump into rapid and easy data exploration! 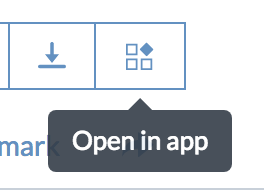 Alternatively, when you are on data.world platform and find a dataset you want to quickly explore (or after prepare your data with a custom query), you can jump into Keshif import by just clicking "Open in App" icon, and choosing "Keshif". Could it get any easier? Data.World supports creating custom SQL and SPARQL queries which offers high programmable flexibility to extract, transform, and prepare your data. You can even join data across multiple tables in the same dataset! You can write your query within Keshif import page, or built the query using data.world platform, and then import it to Keshif with "Open in app". If your Keshif dashboard uses a custom query, Keshif will display a code icon along with dataset links at the bottom. To see the data query, mouse-over the code icon. To copy the query text, simply click on the icon. If you want to improve your data skills to transform data, check out data.world's SQL guide. Keshif will show the number of records (rows) in the selected data table. If your data exceeds 100,000 rows, Keshif will only load the first 100,000 rows into the dashboard. In that case, we suggest using a Custom Query using an ORDER BY statement with a date field (to get the most recent data), or a numeric field (to get the largest data values). You can also write queries to aggregate the datasets and change your "unit of analysis", or what each row of data represent. You can learn more about using SQL here.